Have you read this book? Tweet using the hashtag #bookoftheweek. Event: Bookversations with Bayo Olupohunda, author of Are You Not A Nigerian? 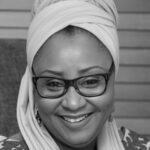 TheBookDealerNG’s WCW is Hadiza El-Rufai. She has a BSc and MSc in Architecture (1983) and an MBA (1992) from Ahmadu Bello University, Zaria, and a Masters in Creative Writing (2012) from Bath Spa University, United Kingdom..
From there, she worked as a lecturer at the Department of Architecture at Kaduna Polytechnic, a few more years at the National Electric Power Authority, before working in private practice. 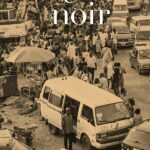 Here Chioma Iwunze lists ten of the best bookstores to get African-authored titles from. We come second. How exciting! Yejide Kilanko just tweeted about her first picture book being published by Farafina Books later this year. It is children fiction and it will address anxiety. how cool is that? Cassava Republic Press is proud to reveal the cover for ‘She Called Me Woman: Nigeria’s Queer Women Speak’, a ground-breaking collection of 25 first-hand narratives from a cross section of queer Nigerian Women. 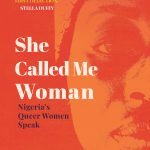 Edited by Azeenarh Mohammed, Chitra Nagarajan, and Rafeeat Aliyu, these narratives give the reader access to the narrators’ innermost thoughts and explore what it means to be a queer woman within Nigeria’s often deeply conservative communities. Nnedi Okorafor tweeted about a new collection of short stories coming out in June. It features stories from Igoni Barrett, E.C. Osundu, Leye Adenle and others edited by Chris Abani. Her story in it is titled, ‘Shologo’ about the eponymous wild man in Lagos. Nnedi Okorafor Releases First Issue of “Black Panther: Long Live the King.” Long Live The Queen. The forthcoming Black Panther movie, starring Lupita Nyong’o, Chadwick Boseman and Michael B. Jordan, has generated a world of hype. Everyday, with each news, we melt in anticipation. To sustain the hype ahead of the film’s February 2018 release, Marvel announced two new comic-book miniseries: the first, written by Nnedi Okorafor, is Black Panther: Long Live The King. And its first issue just dropped. Uzodinma Iweala unveiled official author photographs ahead of the March 2018 release of his highly-anticipated novel, Speak No Evil. Speak No Evil comes 12 years after Iweala published his bestselling debut, Beast of No Nation. The novel tells the story of Niru, a gay Nigerian teenager, and the fallout with his family when his father finds out he is gay. The unveiling of these photographs tells us that publicity for the new book is underway and that the first set of reviews should be coming pretty soon. You should also expect to begin seeing announcements of book signing events. Ayobami Adebayo, author of the Baileys Prize-shortlisted novel Stay with Me, has been honoured at the 2017 The Future Awards, receiving The Future Awards Africa Prize for Arts and Culture. Also honoured at the Lagos ceremony were: Davido, who received The Future Awards Africa Prize for Music; Anthony Joshua, who received The Future Awards Africa Prize for Sports; and WizKid, who received The Future Awards Africa Prize for Young Person of the Year, an award won in 2008 by Chimamanda Ngozi Adichie. The Future Awards, currently in its 12th year, celebrates Africans between ages 18 and 31 who are deemed to be making a difference in their respective fields—arts, technology, entertainment, business, agriculture, public service. Miles Morland Foundation has announced its shortlist. They have 6 from South Africa, 4 each from Nigeria and Kenya, 2 from Cameroon and 1 each from Eritrea, Zimbabwe, Ghana, Gambia and Botswana. Miles Morland Foundation has announced its shortlist. We have 6 from South Africa, 4 each from Nigeria and Kenya, 2 from Cameroon and 1 each from Eritrea, Zimbabwe, Ghana, Gambia and Botswana. The Brittle Paper Literary Awards recognizes the finest, original pieces of literature by Africans available online for free. It has five categories —Fiction ($200), Poetry ($200), Creative Nonfiction/Memoir ($200), Essays/Think Pieces ($200), and the Anniversary Award ($300) for writing. Across these five categories, 48 pieces of writing, each beautifully crafted and thought-provoking, were shortlisted based on their quality, significance and impact. Check out the five winning entries here. Ouida Books has announced a new book in her stable. 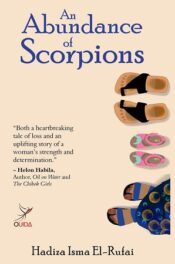 An Abundance of Scorpions by Hadiza Isma Elrufai. The cover is simply beautiful, like the rest of Ouida books. We can’t wait to get our hands on it. Ikeogu Oke has won the 2017 NLNG prize for literature. He is 100,000 dollars richer! Congrats!!! Olumide Popoola has been shortlisted for the inaugural #DLA17 @YlvaPublishing Fiction award. 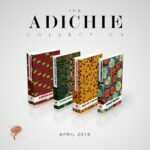 Narrative Landscape will be releasing new editions of Chimamanda’s books in april. These books have Ankara covers from Vlisco.